I love the leaves, the crisp air, apples fresh from the orchard, pumpkins on the front step, hot wassail and a fire in the fireplace. 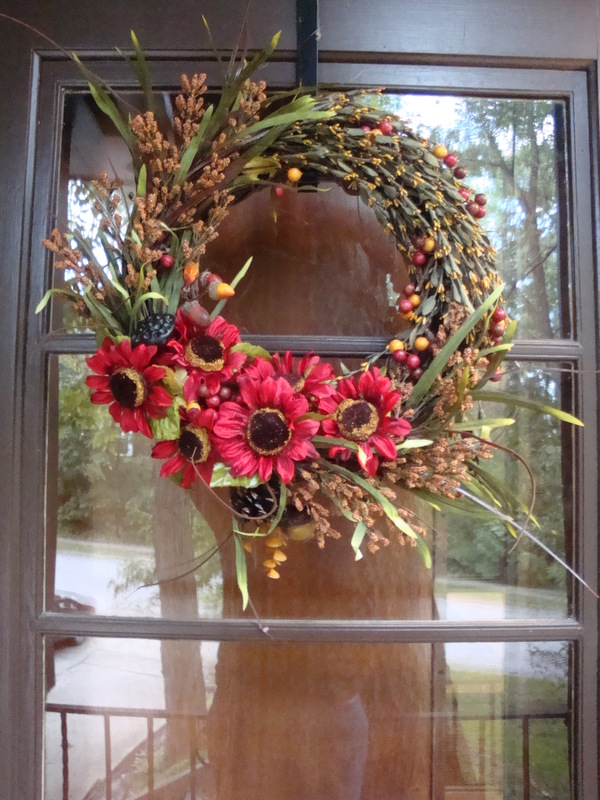 My mom was out in September and we enjoyed a little craft time to put together this wreath for the front door. I’m not usually a huge fan of flowers “with a center” like daisies or sunflowers, but this really hit the spot for me. I just bought some pumpkins to carve and keep by the door, too. I’m thinking about trying something like this for mine! I LOVE it! Martha would be proud.